When people come to my office for the first time to discuss their Tampa Bay divorce, they are often nervous because they want to end their marriage, but they don’t want to have the knock-down, drag-out court battles that they frequently hear about in the news. They simply want to resolve their family disputes as quickly, privately, and respectfully as possible, while also ensuring that they do not get the raw end of the deal. And so many of these spouses are pleasantly surprised when I let them know that there is an option which fits all of these criteria: collaborative divorce. The first and most important defining feature of collaborative divorce is that the parties each have their own attorney, and everyone agrees that they will not let a judge decide disputed issues. In fact, the attorneys are contractually barred from filing any contested motions or bringing matters that have not yet been agreed upon before a judge. This means that the parties and their attorneys will not be trying to tear each other down in a public forum and say things that cannot go unsaid. Rather, they meet in private offices on the parties’ schedules and agree that all discussion held in the meetings will be confidential until a comprehensive settlement is reached. In litigated cases, parties are ordered to hire a mediator to attempt to resolve their issues. Similarly, in collaborative cases, the clients jointly retain a neutral facilitator to help them resolve their disputes in a respectful environment. In fact, the facilitator also helps to identify each client’s goals and concerns, manage the collaborative case so that it does not languish on, and help the clients learn to communicate more respectfully. If there are minor children involved, the facilitator ensures that the clients remain focused on the children and develops a parenting plan which is tailored for the children’s needs. If there are private businesses or other portfolios to divide, a neutral financial professional is oftentimes brought in to assist in the distribution of assets and debts, educate the less financially informed spouse, and help the clients budget for the future. The financial professional is also able to narrow requests for financial documents to only those necessary for the clients to make a fully informed decision. Moreover, he or she will review and analyze the documents much quicker than attorneys are able to do in traditional litigation cases, thus saving the clients many billable hours. Once a full settlement is reached, unlike in old-style court battle divorces, many judges in the Tampa Bay area will not require parties in collaborative cases to expose their financial information to the public court file, nor will many judges require the parties to file their Marital Settlement Agreement. 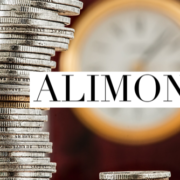 To avoid a nasty court battle which is usually the most financially and emotionally costly option, ask your attorney whether he or she is trained in and offers collaborative divorce. If you want to learn more about how the Tampa Bay collaborative process can help your family avoid a nasty court battle, schedule a consultation with The Law Firm of Adam B. Cordover, P.A. at (813) 443-0615 or fill out our contact form. Adam B. Cordover is President of Next Generation Divorce, Tampa Bay’s premier practice group of collaborative family law professionals, and has been featured on NBC 8, Fox 13, Bay News 9, and ABC Action News regarding the collaborative process. Further, Adam has been interviewed about collaborative practice in the Tampa Bay Times, Tampa Tribune, and World of Collaborative Practice Magazine.